you go to bed at 10:30pm but two hours later you’re still not asleep. it’s 2:30am and you suddenly wake up, thoughts about what you have to do at work tomorrow queuing up like spam in you head. it’s 6am; you’ve spent 8 hours wrestling with your sheets and feel as tired as you were when you went to bed. These examples, I admit, are some of the silliest I found. However, the fact remains — most of the typical sleep advice you’ll find online fails to address the causes of insomnia and thus fails to address the problems you might have falling and staying asleep. a brief discussion on what kind of attitudes are most conducive to a good night’s rest. When you fall asleep naturally it’s an effortless process. You don’t have to try to do it. Indeed, it’s possible to fall asleep in a car or bus, in an uncomfortable position, on a bumpy road, in the middle of the day. You can even do it to country music. This might seem like a frivolous and flippant suggestion. At least, it will until you realise that your desire to fall asleep is probably the very thing that keeps you awake. That desire to sleep — along with the associated worries that you won’t — triggers a stress response. This puts your nervous system on high alert, and leads directly to insomnia. You get more sleep than you think, even on a so-called sleepless night. Research shows that people who think they remain awake all night long actually get several hours of shut-eye. The trick here is to entertain the idea that you may be asleep and not even know it! Missing a few hours of sleep doesn’t have to be a big problem. If you consider light or disjointed sleep to be normal (as it is for some high-functioning people), then your sleeplessness may not feel so troublesome. Some sleep experts even suggest that the first step to better sleep is to pretend that insomnia doesn’t matter. The early hours can be considered an ideal time to get up and work. Instead of praying for sleep, some people simply spend that time writing or studying. They use this time productively, and are thankful for it. This may not match your idea of a good night’s rest, but there’s no reason it can’t work. Indeed, some historians believe that until quite recently we didn’t sleep through the night at all. Instead, we would go to bed at dark, sleep for three or four hours, wake up for a few hours, then go back to bed for another three or four. In this light, what you consider insomnia might just be a normal pre-industrial-age sleeping pattern. Your wakefulness provides a perfect opportunity to meditate, and by doing so you can potentially find a calmness and clarity of mind — and a degree of physical relaxation — at least as deep as that you would find in sleep. 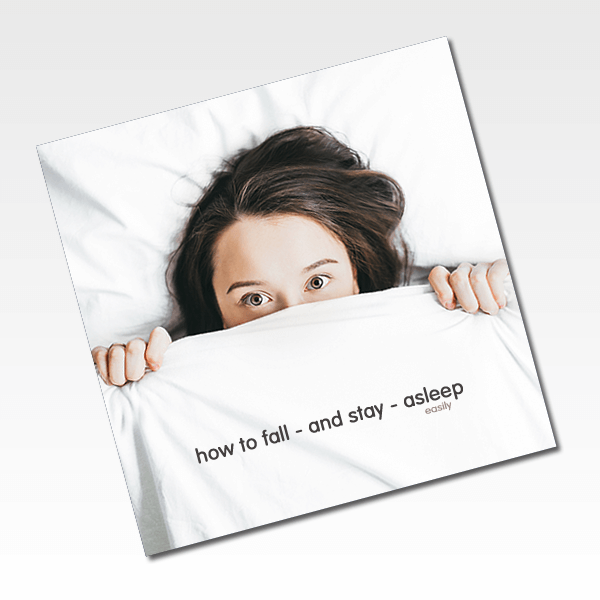 Conversely, when you tell yourself “I can’t fall (or should be) asleep”, you fuel your anxiety and create conditions in which sleep becomes even less likely. By accepting your insomnia — and understanding that it’s perfectly possible to get some deep rest even whilst awake — you disarm that worry (and improve your chances of nodding off). Of course, this is all somewhat easier said than done. Even when you know that you’re getting more sleep than you think you are, it can feel like you’re being tortured by Nyx. Ironically, it’s usually your thoughts about not getting enough sleep that keep you awake. This is where a meditation practice can be helpful, especially if it’s one in which you are encouraged to mimic the natural processes of falling asleep. Mirror the unique breathing patterns associated with sleep. Tune into the physical sensations linked with drowsiness. Generate dream-like scenes and images in your mind. 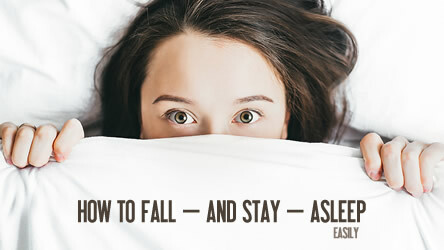 Most people find it difficult to stay awake when they adopt these strategies. If you have trouble falling asleep, you’ll probably have noted that as soon as your head hits the pillow your mind kicks into gear. It decides, at that moment, to revise every little thing you did or didn’t do during your working day. And if you have no trouble falling asleep, but find yourself staring at the ceiling at 2am, you’ll probably have noticed a similar pattern. These difficulties are often compounded by worry and anxiety, stress, and a tendency to overthink. For sleep to become the natural and effortless process it’s meant to be, you may have to learn some new skills. You may also need to recognise that sleep might not be the real problem. Rather it’s your day. Your day may be rather full. Your to-do list rather long. There may be deadlines and unfinished business. Your inbox might be overflowing. And you might have had dozens of conversations and interactions that triggered thoughts and emotions which you didn’t have time to sort through, process and prioritise. In other words, by nightfall, you have a backlog of half-complete mental and emotional ‘work’. Your brain labours feverishly, like a computer with so many apps or tabs open that it can’t even shut down. You need a defrag. But leaving all this mental processing until the end of the day, when you’re tired and just want to sleep, is a recipe for sleeplessness. The solution is to build some reflection time into your day. Do spot-meditations when you can. Spend ten minutes meditating when you get home from work. In this way you clear your ‘mental desk’, so that all that processing doesn’t have to go on in the middle of the night. This is one reason that many people say they sleep really well following a meditation class. Meditate at the end of the working day, and use that time to think through things, not to clear your mind. Spend less time in bed. 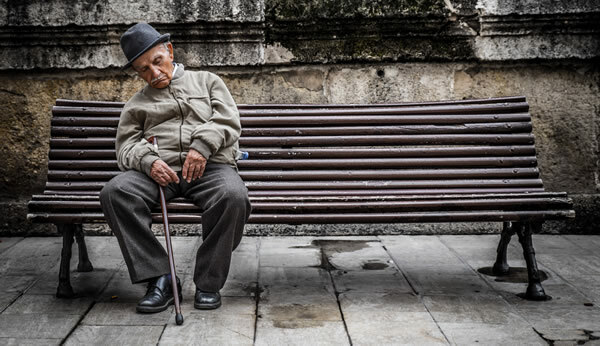 People who restrict their sleep tend to sleep better. Expect to be awake for several hours at night and treat it as an opportunity to study, work or meditate. Instead of trying to block out all sound, listen intently. Mimic the breathing and thinking patterns associated with sleep. And if you need help with these strategies, try out some (or all) of the guided sleep meditations below. I have a very hard time falling asleep at night but man this meditation knocks me out... I have never made it to the end because it works every time. I’ve tried everything before this; sleeping pills, sound machines, herbs, etc. but nothing has worked as well as this. I’m so grateful.